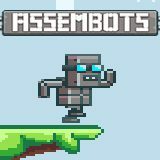 A logical game with elements of a platformer. You should control a robot and launch a factory. Use left mouse button to move and act. A nice game to spend your free minute - a lot of levels won't leave you indifferent!